Does the world really need another programmatic marketing platform? Probably not. Could it use a better one? Definitely. At Simpli.fi we understand that when it comes to programmatic, the data makes all the difference. Where your data is sourced from, how it is packaged, and how it is sold to you can mean the difference between campaign success or failure. Seems pretty reasonable right? So why is it so hard for other programmatic platforms to deliver true transparency? It all goes back to the data. At Simpli.fi, we directly access unstructured data to enable marketers to target, bid, optimize, and report at the individual data element level. 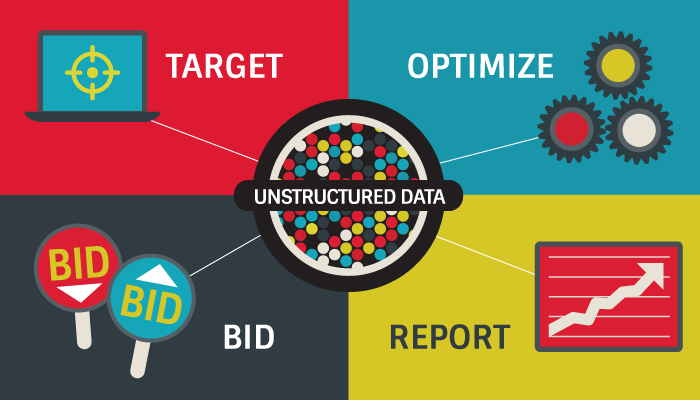 Unstructured data offers unlimited opportunities for individually relevant advertising. Which begs the question: What is Unstructured Data?